Frustrated by patients reporting they didn’t have access to information they needed, nurse Anna Mickell decided to find her own solution. Back in 1995, Anna, now general manager of The Health Media, left her job as a cancer information nurse with the Auckland Cancer Society to pursue her goal of improving consumer access to great health information. Out of her determination, the precursor to today’s Everybody Patient Sheets was born. But as Anna recalls, it wasn’t the easiest gestation. The problem was how to get the information to people when they were searching for it, Anna says. At the same time, former New Zealand Doctor editor Carmel Williams was developing an online news service and Anna decided to work alongside her. A generous grant from Researched Medicines Industry (now Medicines NZ) allowed Anna to get started, approaching the not-for-profits to offer the information service. She would take the information they were creating and shape it into a centralised resource of easy-to-read patient information that could be delivered by health professionals. Because not everyone had access to the internet, Anna explains Everybody was initially delivered as a CD. This also enabled her to maintain control over the quality of the content but it had its challenges. Anna laughs as she recalls her second year as “good in terms of my personal development”. After a couple of years, Anna sold the business to Medimedia, publishers of New Zealand Doctor and Pharmacy Today, where it was managed by New Zealand Doctor’s clinical editor Richard French. Medimedia created the perennially popular series of A4 books containing rip-out sheets and provided these to all general practices. At the same time, the company went where Anna had always planned to go – online. The resulting Everybody website had even more topics available and became the country’s most popular consumer health information site. The information on the sheets was reviewed by the Royal New Zealand College of GPs and was independent of the companies, organisations and government agencies who sponsored the topics and paid for production of the Everybody books. After 15 years with Medimedia, the Everybody website was taken on by Health Navigator, a project paid for by DHBs. 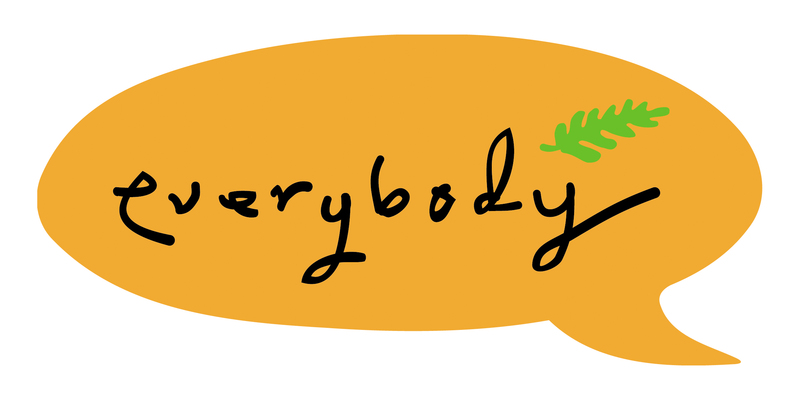 The popular Everybody books lived on at Medimedia as the Everybody Patient Sheets – now downloadable any time of the year. In 2015, along with Medimedia products New Zealand Doctor and Pharmacy Today, Everybody was sold to The Health Media, landing it back in the lap of its founder, Anna. She says the Everybody Patient Sheets represent a return to the spirit of the brand – providing simple, easy-to-read information for patients when they need it. The two-sided, A4 sheets still provide independent advice, are still funded through sponsorship, and are still extremely popular with the health professionals who download them to hand over to patients. Everybody Patient Sheets have undertaken another change, moving from a standalone website to be incorporated into the Pharmacy Today and New Zealand Doctor websites. The focus of Everybody topics has narrowed to 21, with new topics becoming available and older topics revived, as sponsorship becomes available. Business manager Rhonda Jackson says the resource remains free because of the generous backing of healthcare companies, government agencies and other suppliers who fund the development, but are not involved in the development of the editorial content. User feedback suggests Everybody Patient Sheets content is seen as a valued resource for health professionals wanting to provide information for patients simply because they are easy to use, Rhonda says. The sheets can be downloaded as a set or one at a time for the health professional to hand over to the patient on the spot. Patients still love having something tangible they can take away with them, Rhonda says. The printed product is still very popular in the digital world. Take a look at the feedback, she says, it pretty much sums it up. To subscribe to Everybody Patient Sheets for free, click here. You'll also find the Everybody Patients Sheet logo on our home page. Remember, one simple download and you have access to up to 21 topics, saved to your computer and ready to print out or even email directly to your patient. It's easy.